Our beautifully presented pamper gift vouchers are the perfect gift for family, close friends and loved ones. 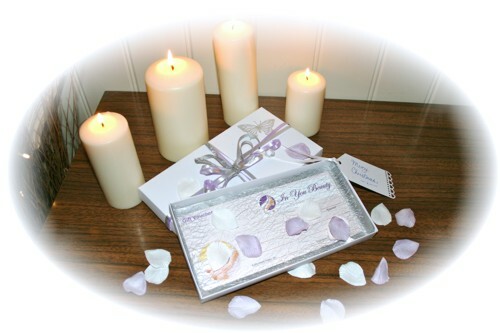 Each voucher is supplied in an elegant gift box and is layered with loose rose petals and silver mesh fabric. The box is then bound with shimmering ribbons, butterflies and a gift tag so you can add a personal message of your choice. No wrapping is required, we will take care of it all for you. Our Gift Vouchers are available from £20 and apply to all luxury treatments & courses which are carried out in our comfortable home salon, offering a relaxed experience with a personal touch. Vouchers can be purchased over the phone via credit or debit card and can be posted to either yourself or the recipient. So if you know someone that deserves a treat, has a birthday coming up or if they are the person that has everything, then why not make their day and send them an In You Beauty Gift Voucher. 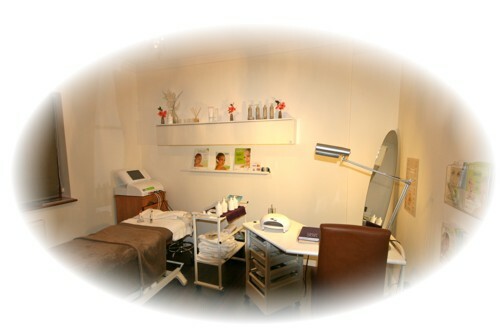 Please note that vouchers are strictly non-transferable and can only be used against existing treatments that In You Beauty offer. All Gift Vouchers are valid for 12 months from time of purchase. Every voucher issued has the expiry date clearly printed on the back, so please make sure they are used within the time frames as vouchers cannot be extended beyond this date.